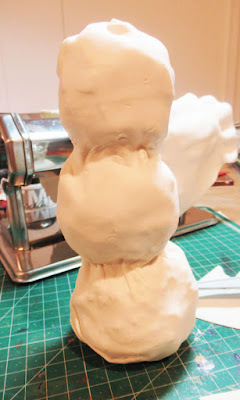 Hi everyone, I'm on the Makin's Clay blog with a fun winter project. With winter upon us that means snow will be here shortly. 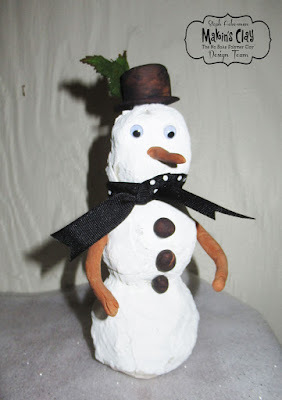 Since it can be a little too cold outside to make snowmen, why not create your own snowmen from the comfort of your home. 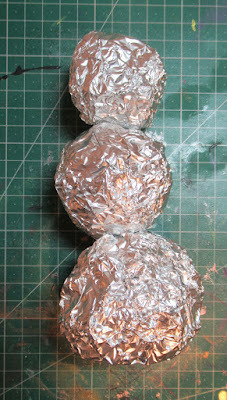 Start by creating the snowman using tinfoil which has been tightly rolled into 3 balls. Continue adding tinfoil until you have 3 different sized shapes. 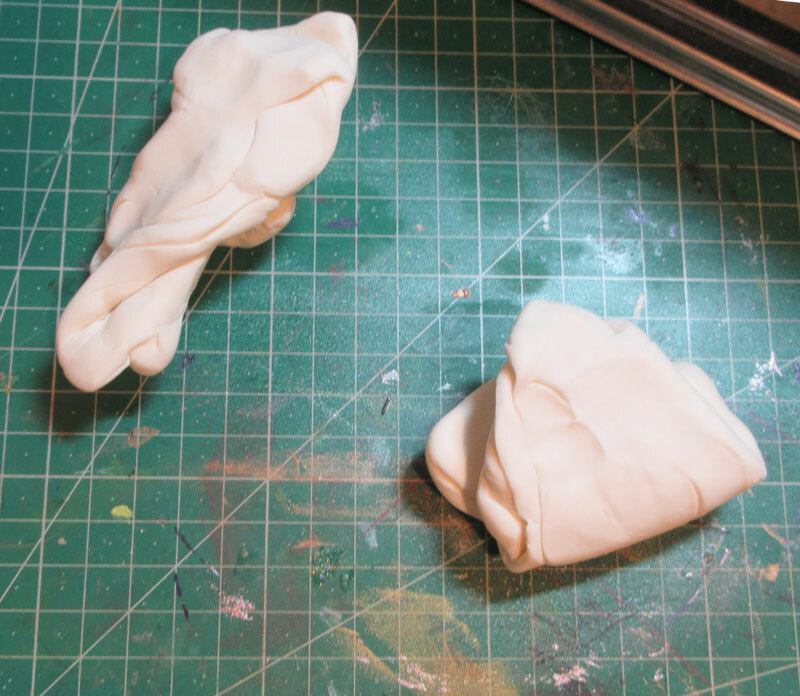 Place toothpicks between the balls and glue in place to hold the shape. Put aside to dry. Condition white clay for the outer layer. 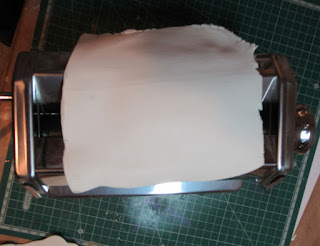 Using the clay machine, roll each piece of clay starting at the highest setting. Continue putting the sheets of clay through the clay machine reducing the setting each time until the panels are the thickness desired. 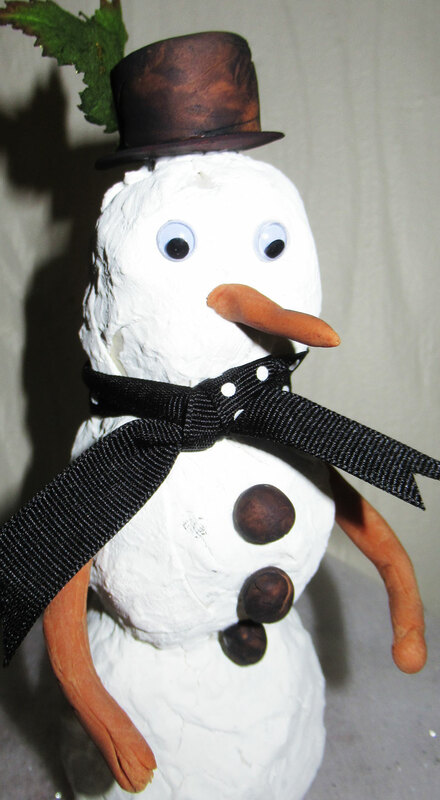 Wrap the clay around the snowman, folding and pinching where necessary to achieve a desirable snowman. 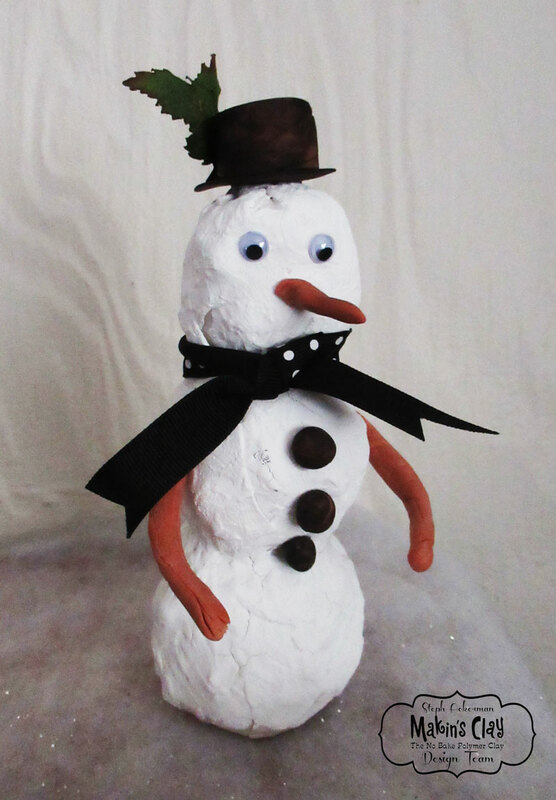 Since snowmen are not always smooth, don't worry about the lumps and bumps that show as a result of the underlying tinfoil. Allow the snowman to dry 24 hours, then paint with white paint. Roll out terracotta clay to create the arms. 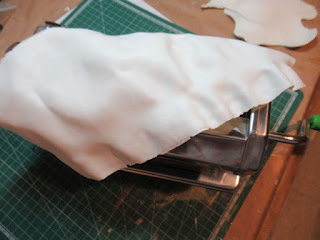 Allow the edges to be a little raggedy so they look like tree limbs. Adhere to the sides of the snowman. 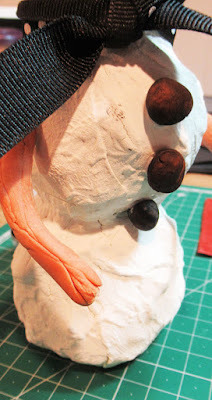 I had no black clay handy so I rolled out 3 little balls of terracotta clay for his buttons and his hat. 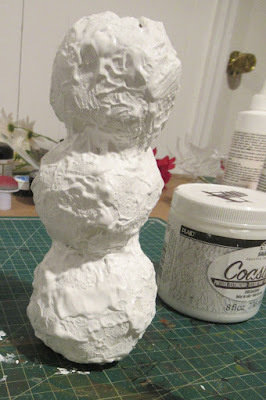 Then I spritzed them with Tattered Angels Lava mist to change the color of the clay. I placed the hat on his head and added leaves to the side. Finally I tied ribbon around his neck. Standing about 7" tall, he is a reminder of the winter weather that is to come.